Cities (January 2011 est. ): Capital: Oslo (pop. 599,230). Other cities — Bergen (260,392), Trondheim (173,486), Stavanger (126,021). Nationality: Noun and adjective — Norwegian(s). Population (January 2011 est. ): 4,937,000. Annual population growth rate (2009): 1.3%. Ethnic groups: Norwegian (Nordic, Alpine, Baltic); Sami, a racial-cultural minority; foreign nationals from Nordic and other countries. Membership in nationally registered religions (2010): Church of Norway (Lutheran) 78%; Roman Catholic 1.3%; Pentecostal Christian 0.8%; other Christian 3.5%; Muslim 2.0%; other, none, or unknown 14.4%, including a Jewish community of approximately 818 people. Languages: Bokmal Norwegian (official), Nynorsk Norwegian (official), small Sami- and Finnish-speaking minorities (Sami is official in six municipalities). English is widely spoken. Education: Years compulsory: 10. Literacy — 100%. Health: Infant mortality rate (2010): 3.1 deaths/1,000. Life expectancy (2010 est.) — men 78.6 years; women 83.1 years. Work force (2011, 3.6 million): Legislators, senior officials, and managers 6%; professionals 13%; technicians and associate professionals 25.3%; clerks 6.8%; service workers and market sales workers 24%; agricultural, forestry, and fishery workers 2.2%; craft and related trades workers 10.2%; plant and machine operators and assemblers 7.1%; other occupations and unspecified 5.2%. Branches: Executive: king (chief of state), prime minister (head of government), Council of Ministers (cabinet). The Council is appointed by the monarch in accordance with the will of the Storting, to which the Council is responsible. Legislative — modified unicameral parliament (Storting, 169 members, elected for 4 years by universal adult suffrage). Judicial — Supreme Court, appellate courts, city and county courts. There are 19 Supreme Court judges, with one Chief Justice. Political parties represented in the parliament: Labor, Progress, Conservative, Socialist Left, Christian Democratic, Center, Liberal. Administrative subdivisions: 19 fylker (counties) and 430 municipalities, and Svalbard. Annual growth rate (2011): 2.9%. Per capita GDP (2010, purchasing power parity): $53,738. Natural resources: Petroleum, natural gas, iron ore, copper, lead, zinc, titanium, pyrites, nickel, fish, timber, hydropower. Agriculture: Products: dairy, livestock, grain (barley, oats, wheat), potatoes and other vegetables, fruits and berries, furs, wool, pork, beef, veal, fish. Industry: Types: petroleum and gas, food processing, shipbuilding, pulp and paper products, aluminum, ferroalloys, iron and steel, nickel, zinc, nitrogen, fertilizers, petrochemicals, hydroelectric power, refinery products, timber, mining, textiles, fishing, transport equipment, electronics. GDP by activity (2010): Oil and gas 22%; general government 16%; manufacturing, mining, electricity, building and construction 15%; value added tax (VAT), etc. 11%; commodities, vehicle repairs, etc. 7%; communication and transport 4%; agriculture, forestry, and fishing 1%; other services (commercial, housing, financial, private health/education, hotel and catering, etc.) 24%. Trade (2010): Exports (f.o.b. ): $178 billion. 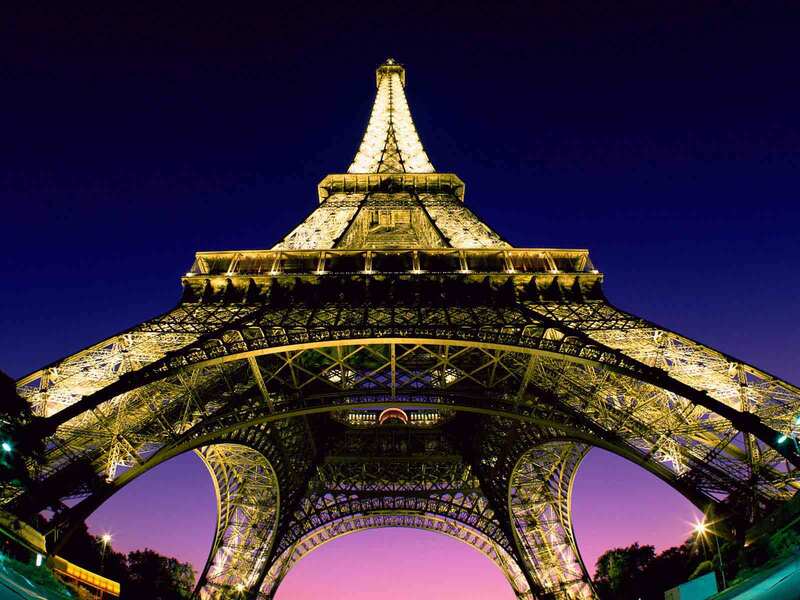 Major markets — U.K. 27%, Netherlands 12%, Germany 11%, Sweden 7%, France 6%, U.S. 5%. Imports (f.o.b.) — $122 billion. Major suppliers — Sweden 14%, Germany 12.3%, China 8.4%, Denmark 6.1%, U.K. 5.9%, U.S. 5.2%. Norway's northern regions lie within the Arctic Circle, where there are borders with Finland and Russia, while much of the long border with Sweden runs through the Scandinavian mountains. This range, sloping to the south-east, is 1,530 km in length and has its highest areas in the south of Norway, where Galdhopiggen, Norway's highest point, reaches a peak of 2,469 m (8,100 ft). Almost all of Norway is high ground; in the north the country becomes narrower, with mountains overlooking the fjords and the islands along the coast, and in the center and south the mountains form a high plateau, where there are permanent ice fields. The only area of low ground is around the Oslo fjord and along the coast to Stavanger. The principal rivers are the Glomma, the Lagen, and Tanaelv. Some 6% of Norway's area is inland water — mostly long, thin lakes. Two-thirds of the country is tundra, rock, or snowfields, and one-quarter is forested, so good agricultural land is rare. Less than 3% of Norway is cultivated, and these areas are in the south-east and in the river valleys. The mountains of Norway are rich in minerals; there are deposits of iron ore, copper, titanium, coal, zinc, lead, nickel, and pyrites, and large offshore reserves of petroleum and natural gas. Although Norway crosses the Arctic Circle, the climate is not as cold as might be expected, since the North Atlantic Drift brings warm, damp air to the whole country. The geographical conditions give rise to great climatic variation: it is cooler inland and to the north, where winters are long and dark with much snow, but where the sun shines day and night for part of the summer. It is wetter on the west coast, where about 2,000 mm (78.7 inches) of rain falls annually on Bergen; the mean annual rainfall in the capital, Oslo, is 730 mm, most of which falls during the summer. Temperatures in Oslo are highest in July, when the average is 17.3°C (64°F), and lowest in January, when the average falls to -4.7°C (24°F). Ethnic Norwegians speak a Germanic language. Northern Norway is also the traditional home of communities of Sami people who speak a non-Indo-European language. In recent years, Norway has become home to increasing numbers of immigrants, foreign workers, and asylum-seekers from various parts of the world. There are 600,900 immigrants and 100,000 Norwegian-born persons with immigrant parents living in Norway (as of January 2011). The majority of immigrants are from Poland, Sweden, Germany, and Iraq. Thirty-four percent of immigrants have Norwegian citizenship. Approximately 12.2% of Norway's population is comprised of immigrants; the percentage is significantly higher in Oslo. The constitution provides for freedom of religion, and other laws and policies contribute to the generally free practice of religion in Norway. The Evangelical Lutheran Church of Norway, the state church, enjoys some benefits not available to other religious groups. Education is free through the university level and is compulsory from ages 6 to 16. At least 12 months of military service and training are required of every eligible male; approximately 40% are exempted from service for health or other reasons annually. Norway's health system includes free hospital care, physicians' compensation, cash benefits during illness and pregnancy, and other medical and dental plans. There is a public pension system. Norway is in the top rank of nations in the number of books printed per capita. Norway's most famous writer is the dramatist Henrik Ibsen. Artists Edvard Munch and Christian Krogh were Ibsen's contemporaries. Munch drew part of his inspiration from Europe and in turn exercised a strong influence on later European expressionists. Sculptor Gustav Vigeland has a permanent exhibition in the Vigeland Sculpture Park in Oslo. Musical development in Norway since Edvard Grieg has followed either native folk themes or, more recently, international trends. The Viking period (9th to 11th centuries) was one of national unification and expansion. The unification of Viking settlements along the Norwegian coast was well advanced by the death, in 1030, of St. Olav, who had overseen the population's conversion to Christianity. A period of civil war ended in the 13th century when Norway expanded its control overseas to parts of the British Isles, Iceland, and Greenland. Norwegian territorial power peaked in 1265, and the following year the Isle of Man and the Hebrides were ceded to Scotland. Competition from the Hanseatic League and the spread of the Black Death weakened the country. The Norwegian royal line died out in 1387, as the country underwent a period of union with Denmark under King Olaf; union with Sweden followed in 1397. Attempts to keep all three countries united failed, with Sweden finally breaking away in 1521. By 1586, Norway had become part of the Danish Kingdom. In 1814, as a result of the Napoleonic wars, Norway was separated from Denmark and combined with Sweden again. The Napoleonic War saw Denmark side with France in 1807, following the British attack on Copenhagen. With Sweden joining the coalition against Napoleon in 1813, the Treaty of Kiel in 1814 transferred Norway to the Swedish King following Denmark's defeat. The Norwegians ignored this international agreement and chose the Danish Prince as their king and adopted the liberal Eidsvoll Constitution on May 17, 1814 (May 17 later became Norway's national holiday). After a few months a Swedish-Norwegian union was agreed under the Swedish crown, with Norway being granted its own parliament (Storting) and government. However, the Swedish King attempted unsuccessfully to revise this constitution in the 1820s and 1830s and parliamentary control over the executive was only obtained following a struggle during the 1870s and 1880s. Norwegian nationalism was associated with the creation of a national standard for written Norwegian based on dialects, rather than the Danish-based official language. There were numerous disputes between the Norwegian Government and Sweden, notably over requests for a Norwegian consular service to reflect the importance of Norway's expanding merchant fleet. In 1905 the union between the two countries was dissolved following two plebiscites in Norway, one opting for independence and one for a constitutional monarchy. Danish Prince Carl was unanimously elected as King by the Storting in 1905 and took the name of Haakon VII (after the kings of independent Norway) on his arrival in Norway. Haakon died in 1957 and was succeeded by his son, Olav V, who died in January 1991. Upon Olav's death, his son Harald was crowned as King Harald V.
Norway was a nonbelligerent during World War I, but as a result of the German invasion and occupation during World War II, Norwegians generally became skeptical of the concept of neutrality and turned instead to collective security. During the period of Nazi German occupation, over 742 of Norway's Jews were killed. More than 900 Jews survived mass deportation by hiding and escaping, many of them by crossing the border into Sweden. Norway was one of the signers of the North Atlantic Treaty in 1949 and was a founding member of the United Nations. The first UN Secretary General, Trygve Lie, was a Norwegian. Under the terms of the will of Alfred Nobel, the Storting (parliament) elects the five members of the Norwegian Nobel Committee who award the Nobel Peace Prize each year on December 10 to those who have "done the most or best work for fraternity between nations, the abolition or reduction of standing armies and for the holding and promotion of peace congresses." 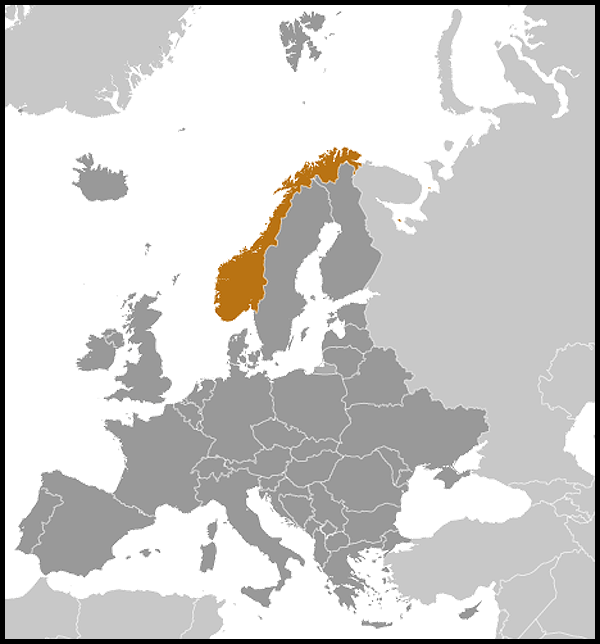 Norway held referenda on seeking entry into the European Union (EU) and its predecessor the European Community in 1972 and 1994, with the population rejecting membership both times. Today, a majority remains opposed to EU membership. The functions of the king are mainly ceremonial, but he has influence as the symbol of national unity. Although the 1814 constitution grants important executive powers to the king, these are almost always exercised by the Council of Ministers in the name of the king (King's Council). The Council of Ministers consists of a prime minister — chosen by the political parties represented in the Storting — and other ministers. The 169 members of the Storting are elected from 19 fylker (counties) for 4-year terms according to a complex system of proportional representation. The special High Court of the Realm hears impeachment cases; the regular courts include the Supreme Court (18 permanent judges and a Chief Justice), courts of appeal, city and county courts, the labor court, and conciliation councils. Judges attached to regular courts are appointed by the king in council after nomination by the Ministry of Justice. Each fylke (county) is headed by a governor appointed by the king in council, with one governor exercising authority in both Oslo and the adjacent county of Akershus. Until the 1981 election, Norway had been governed by majority Labor Party governments since 1935, except for three periods (1963, 1965-71, and 1972-73). The Labor Party lost its majority in the Storting in the 1981 elections. From 1981 to 2005, governments alternated between Labor minority governments and Conservative-led coalition governments. In the run-up to the 2005 election, Labor Party leader Jens Stoltenberg reached out to the Socialist Left (SV) party and agrarian Center party to form a "Red-Green" coalition government that commanded a majority of seats in parliament. Stoltenberg's government was the first majority government in Norway in over 20 years, but the governing coalition has had to bridge substantial policy differences to build this majority. The 2005 election was historic because it was the first time the Labor Party was in a coalition government since the 1940s, the first time SV was ever in the national government, and the first time the Center Party joined with the socialist parties as opposed to the right-of-center parties. On September 14, 2009, the "Red-Green" coalition won reelection for 4 more years after winning 86 of the 169 seats in parliament. The Stoltenberg-led coalition government that took office in October 2005 and was reelected in 2009 continued the northern policy laid down by the government led by Kjell Magne Bondevik (of the Christian Democratic Party) in 2003. This "High North" strategy has remained one of the constant themes of this government and encompasses many of the government's highest priorities, including environmental protection, responsible development of energy resources, maintaining a security presence in the Arctic, and developing Norway's relations with Russia. In 2010, Norway concluded bilateral agreements with Russia resolving the two countries' long-disputed maritime boundary in the Barents Sea and Arctic Ocean and facilitating travel for border residents. Upon ratification, the maritime boundary agreement entered into force in 2011. Norway maintains an embassy (http://www.norway.org/) in the United States at 2720 34th Street NW, Washington, DC 20008 (tel. 202-333-6000) and consulates in Houston, New York, and San Francisco. Norway closed its consulate in Minneapolis in 2008 but maintains an honorary consulate with Gary Gandrud as honorary consul general, along with an honorary consulate in the Bahamas with R. Craig Symonette as honorary consul. Norway's emergence as a major oil and gas producer in the mid-1970s transformed the economy. Large sums of investment capital poured into the offshore oil sector, leading to greater increases in Norwegian production costs and wages than in the rest of Western Europe up to the time of the global recovery of the mid-1980s. The influx of oil revenue also permitted Norway to expand an already extensive social welfare system. Norway established a petroleum fund (the Government Pension Fund Global) to save and invest the state's oil and gas earnings. The fund reached a milestone of 3 trillion kroner (over $500 billion) in assets in October 2010. Thanks in part to prudent financial regulation and to high prices in world markets for its energy and fisheries exports, the global financial crisis has had only a limited impact on Norway. Norway's unemployment rate increased slightly to 3.4% in April 2011. In recent years, labor costs have increased faster than in its major trading partners, eroding industrial competitiveness. Continued recovery and moderate growth were expected to continue in 2011. Norway twice voted against joining the European Union, but, with the exception of the agricultural and fisheries sectors, Norway enjoys free trade with the EU under the framework of the European Economic Area. This agreement aims to apply the four freedoms of the EU's internal market (goods, persons, services, and capital) to Norway. As a result, Norway normally adopts and implements most EU directives. Norwegian monetary policy is aimed at maintaining a stable exchange rate for the krone against European currencies, of which the euro is a key operating parameter. Norway does not have a fixed exchange rate. Its principal trading partners are the EU, the United States, and China. Offshore hydrocarbon deposits were discovered in the 1960s, and development began in the 1970s. Production increased significantly in the 1990s as new fields came on stream. The growth of the petroleum sector has contributed significantly to Norwegian economic vitality. Current petroleum production capacity is approximately 2.6 million barrels per day. Production in gas has increased rapidly during the past several years as new fields are opened, with crude oil production in decline. Total production in 2010 was 2.15 million barrels of oil per day and 106 billion standard cubic meters (scm) of gas, totaling 230 million scm oil equivalents (o.e.). Hydropower provides nearly all of Norway's electricity, and all of the gas and most of the oil produced is exported. The Norwegian continental shelf's total recoverable petroleum resources have been estimated at 10.6 billion to 16.9 billion scm o.e. Norway is the world's fifth-largest oil exporter and second-largest gas exporter in Europe (2010). Norway provides much of Western Europe's crude oil and gas requirements. In 2010, Norwegian oil and gas exports accounted for approximately 46% of total exports. In addition, offshore exploration and production have stimulated onshore economic activities. In 2011, 28% of state revenues were generated from the petroleum industry; taxes and direct ownership ensure high revenues. Foreign companies, including many American ones, participate actively in the petroleum sector. The oil industry directly employs roughly 40,000 people in core extraction activities. Over 250,000 are employed in petroleum-related activities. Petroleum production peaked in the early 2000s, and the pace of discoveries has not been sufficient to reverse that trend. However, innovative use of extraction technologies has extended the lives of fields. Declines in petroleum extraction is to some degree offset by increased extraction of natural gas in both new and existing fields, such as Snohvit and Troll. Given the energy industry's weight in the economy, diversification into other industries is a long-term challenge for Norway. Norway supports international cooperation and the peaceful settlement of disputes, and recognizes the need for maintaining national defense through collective security. Accordingly, the cornerstones of Norwegian policy are active membership in the North Atlantic Treaty Organization (NATO) and support for the United Nations and its specialized agencies. Norway also pursues a policy of economic, social, and cultural cooperation with other Nordic countries — Denmark, Sweden, Finland, and Iceland — through the Nordic Council and bilaterally. In addition to strengthening traditional ties with developed countries, Norway seeks to build friendly relations with developing countries and has undertaken humanitarian and development aid efforts with selected African, Asian, and Latin American nations. Norway also is dedicated to encouraging democracy, assisting refugees, promoting a global response to climate change, and protecting human rights throughout the world. The United States and Norway enjoy a long tradition of friendly relations, strengthened by the millions of Norwegian-Americans in the United States and by about 30,000 U.S. citizens who reside in Norway. The transatlantic relationship is based on democratic values and mutual respect. In 2002 the United States was the biggest export market (except oil and gas) for Norway; the United States provided 6% of Norway's imports the same year. In 2010 the United States accounted for 5% of Norway's exports and more than 5% of Norway's imports. The two countries benefit from an annual $15 billion two-way goods and services trade relationship as well as from active cultural exchange, both officially and privately. The United States and Norway share a commitment to promoting universal human rights and economic development, respect for the United Nations, and peaceful resolution of disputes around the globe. The two countries work closely together as NATO allies, including in Afghanistan and Libya. There is a strong shared interest in addressing the problems posed by climate change, particularly with respect to the Arctic and in building cooperation in the region through the Arctic Council. The United States and Norway launched a Global Issues Dialogue in Washington, DC on May 6, 2010 (http://www.state.gov/r/pa/prs/ps/2010/05/141581.htm), a second round of which was held on June 16, 2011 in Oslo. Chief, Consular Section: Phillip Slattery, Jr. The U.S. Embassy (http://norway.usembassy.gov/) is located at Henrik Ibsens gate 48, 0244 Oslo (tel. 47-21-30-85-40; fax 47-22-43-07-77).